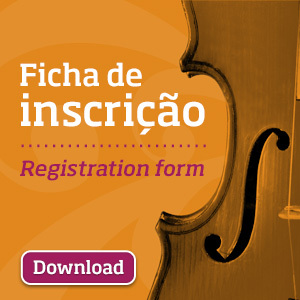 The winner of the 4th International Chamber Music Competition “Cidade de Alcobaça” (CIMCA) , held between october 22nd and 27th March, 2015, was Duo Piaolin (South Korea). 1stPrize in the Junior Category was awarded to the percussion duo Face Two Phase (Spain). 1st Place: Duo Piaolin: Shinhae Yu (Violino) e MiHyang Yu (Piano). 2nd Place: Duo Shalamov: Nikolay Shalamov (Piano) e Alina Shalamova (Piano). 3rd Place: Duo L: Seung Won Lee (Piano) e Kyeong Jin Lee (Cello). Honorable Mention: Sforzanduo: Tomás Moital (Percussion) e Miguel Filipe (Percussion). 1st Place: Face Two Phase: Julián Enciso Izquierdo (Percussion) e Joan Pérez-Villegas Morey (Percussion). 3rd Place ex-aequo: RisolutoQuintet: Beatriz Baião (Flute), Martín Costas (Oboe), Vítor Fernandes (Clarinet), Francisco Martins (Bassoon) e Edna Fernandes (Horn). Quarteto Werther: Lucas Freitas (Violin), Miguel Sobrinho (Viola), Maria Nabeiro (Cello) e Tiago Rosário (Piano). The jury was comprised of names such as António Rosa (President of the Jury and Artistic Director), António Saiote (ESMAE – Escola Superior de Música, Artes e Espetáculo, Porto), Jonathan Luxton (Orquestra Gulbenkian and Escola Superior de Música de Lisboa), Miquel Bernat (Drumming, ESMAE and ESMUC, Barcelona), Luís Magalhães (Stellenbosch University, South Africa) and Vicente Chuaqui (Conservatório de Música do Porto). The Awards Ceremony and Winners Concert took place on 27th March at Cine-Teatro de Alcobaça – João d’Oliva Monteiro.